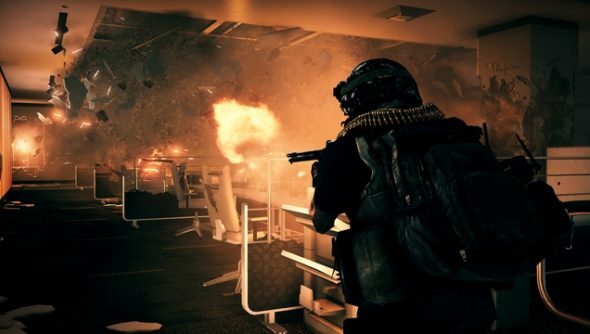 The Battlefield 3 blog’s getting all gabby about the systems powering thee next expansion pack, Close Quarters. As the name so sleekly suggests, the expansion pares down the big fights into smaller, personal battles. But if you already have destruction in the game, why change it at all? I love this: Battlfield’s destruction is too big and dusty for the expansion’s corridor: they hand around too long, so the aim of the VFX dept is to make it big, impressive and to dissapate. They have visual proof of that.